The history of Chinese foods dates back to about 5000 BCE. Over the vast period of time, Chinese people have advanced and mastered their own kind of system of preparing foods. Their ways of identifying ingredients to make perfect combinations, their multi-phased cooking techniques, administering multi-phased flavoring and all have been developed gradually. Tracing back the ancient history, we see that Ancient Chinese had a very healthy diet. And ancient China used to be very different from what it is today, especially in terms of food habits. Based on some evidence, farming in China seems to have started before 5000 years approximately. They use to cultivate and grow some well-known crops since back then. When we go through the history of Chinese cuisine, we notice that it is marked by both variety and change. Since ancient times, food used to be at the center of many social interactions. The credit for such a delightful present day culinary with varieties of aroma and tastes goes to the ancient traditional Chinese food culture. Chinese people have always considered food as an art. Their emphasis has always been on the diverse culinary techniques ranging from the preparation to serving and appreciation of food. There were not many varieties of vegetables in the ancient China. The major vegetables during that period were Soybeans and Cucumbers. The consumption of Soybeans was dated back from 1000 BC. The character of the Shu, soybeans, started appearing on the four bronze vessels from the early Zhou period. 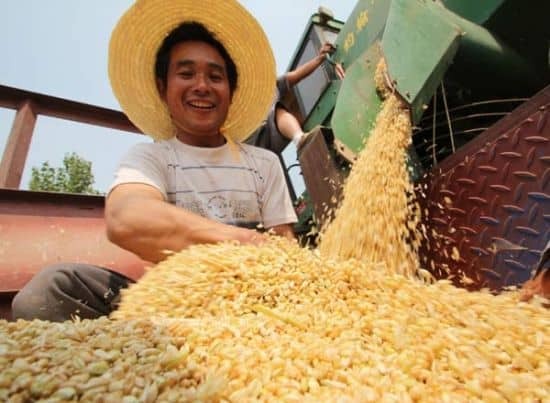 The Soybean was known as the staple grain in Ancient China. These grains were well known as Wugu, which had first appeared in 5th Century BC in the Analects of Confucius(Lunyu). Vegetable used to be the part of their staple food. When people could afford it, they used vegetables to put on their rice. China is regarded as one of the earliest countries in the world to make wine and its history can be traced back to prehistoric times. Since its introduction, wine is not just a drink but also endowed with a spiritual and cultural value which reflects in social and political life, an aesthetic idea, literature, and manner of life. 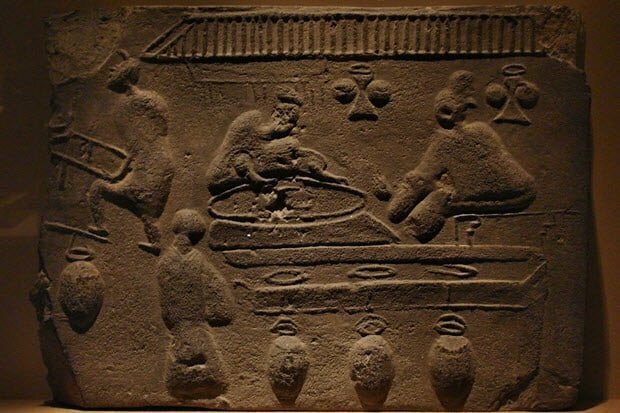 During Shang Dynasty (16th-11th Century BC), people began to drink wine and used it to worship Gods. Yellow Rice Wine is considered the first of its kind to be introduced in China. All other varieties of wine are supposed to have developed after the Han (206 BC- 220 BC) and Tang (618 BC – 907 BC) dynasties. Year’s later Millet wine was introduced, and it was a big hit. It was even more popular than tea. Sorghum (also known as Milo) is known as “the camel of crops” because it doesn’t need much water and grows in the soils other grains won’t. Seed and fertilizer costs for Sorghum are also lower than for other grains. The use of Sorghum was dated back Neolithic period. A large amount of carbonized Sorghum was discovered from Warring State Period (475-221 BC) in Shijiazhuang. According to the Genetic Resources Center, “China is the oldest and the largest center for the origin of Sorghum”. Chinese people basically eat the meat of all animals. Pork is the most commonly consumed meat among others like beef, mutton, chicken, duck pigeon etc. By 4000 or 3000 BC, they Chinese people were eating pork, which was native to China. Sheep and cattle were not native and reached China from West Asia soon after. As the meat was so expensive and because Buddhists didn’t eat meat, many people used Tofu in their diet as a source of protein. 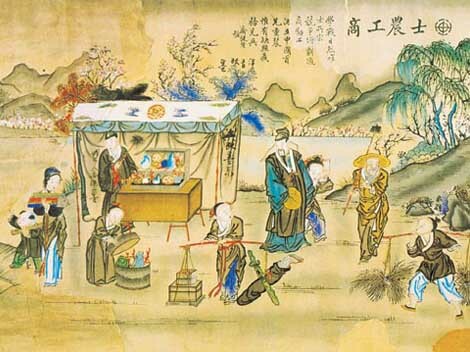 The history of Chinese tea can be traced back to over 4000 years. The Chinese people consider tea as an exquisite form of art that requires sampling. Tea has become the national drink of China at the present time and one of the three soft drinks in the world along with coffee and cocoa. China is proudly regarded as the native place for tea as China introduced tea, its planting techniques, processing and drinking methods for the first time in history. Tofu (bean curd) is also of Chinese origin and is made from soy milk, water, and a curdling agent. Being rich in nutrients (little fat, high protein, calcium, and iron), it has been a staple food of Chinese and Asian cuisine since ancient times. The Chinese doctors discovered that the meat being an essential food in their diet because it was a rich source of protein. But only rich people could afford meat on special occasions. To fix this, they made a law that every week every person living in China would get a free cup of tofu, which was a mixture of soybeans and other things like rice to give you the same amount of nutrition as meat would. Even poor farmers could make this and use this to keep them alive and strong. But the only problem of China that time was the lack of big cooking fire. So, they would break their food into small pieces and then get them cooked. Tofu has already become a popular ingredient used in Western vegetarian dishes as well. Noodles are also one of the native ancient Chinese foods. Its history dates back to as early as in Eastern Han Dynasty (206 BC – 220 BC). Noodles are an essential ingredient and staple in Chinese cuisine. In ancient times, Noodles were made from wheat dough. 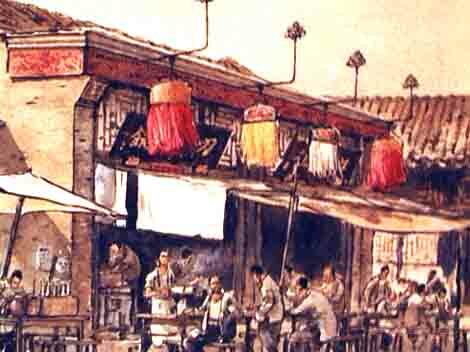 During Song Dynasty (960 BC – 1279 BC) noodles were so popular that noodle shops remained open all night. In the year 2002, an earthenware bowl containing world’s oldest known noodles was found at Lajia archaeological site of China. By around 2500 BC, people started growing and eating wheat even in Northern China. Ancient Chinese people ate porridge but they didn’t make wheat into bread. The major reason behind it was too expensive charcoal which was used to as a fuel to bake the bread. People initially imported wheat to China from West Asia. Wheat used to be the main source of Carbohydrates in China. 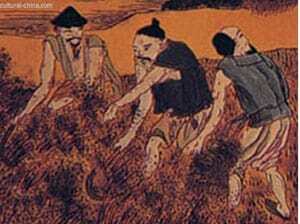 Wheat was not native ito China and it took longer to become the main sources of food. People have been farming millet in Northern China (as it was dry and cold, which was the good place to grow millet) since about 4500 BC. Bromyard millet grew wild in China and was used as the main food in early China. During Han Dynasty, millet was also used for making wine that becomes a big hit. Later on, Millet porridge continued to be a very important food in northern China. Like millet, wheat, and other grains, Rice is also a rich source of carbohydrates. But the history of rice in China dates back to late Stone Age (about 3000 BC). The farming of rice is considered to have started from Thailand but it was probably Chinese farmers who invented the rice paddy. Rice paddy is a system of growing rice in artificial muddy ponds. People usually cook rice by boiling or steaming it to make it soft. Since ancient times, rice has been used as the staple is China. When you think of Chinese food, most likely the first thing that you think of it is rice. It is true though that rice was the thing ever farmed in ancient China. But in Northern China, it was cold to farm rice so they farmed millet and sorghum. Rice was cooked in boiling water and used for making a type of wine called rice wine, which still is a great food in China today. 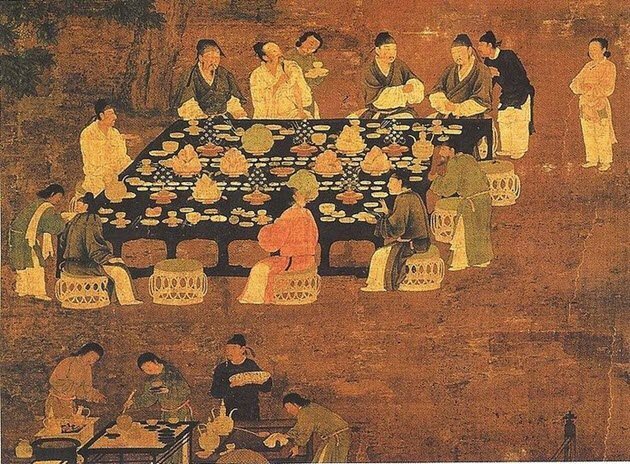 We see that China was rich in food culture ever since their ancient times. We notice that there’s diversity between the farming and food production of South of China and North of China, which yields to the regional differences in cuisines. Agriculture seems to have played an important role in China’s history. The agricultural practices of the ancient times played the central role in the political, economic, social and ideological advances of China. As a result, agricultural produce became the staple of the ancient Chinese.